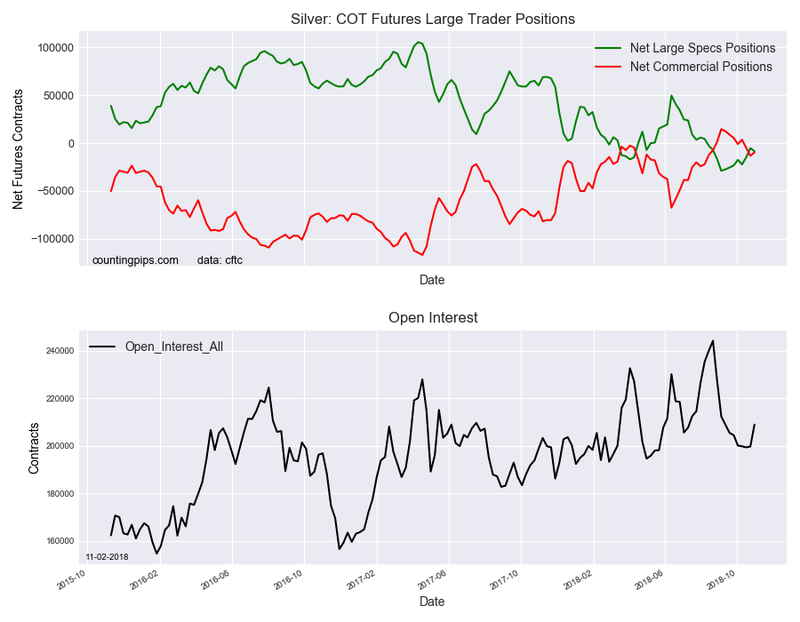 Large precious metals speculators increased their bearish net positions in the Silver futures markets this week, according to the latest Commitment of Traders (COT) data released by the Commodity Futures Trading Commission (CFTC) on Friday. 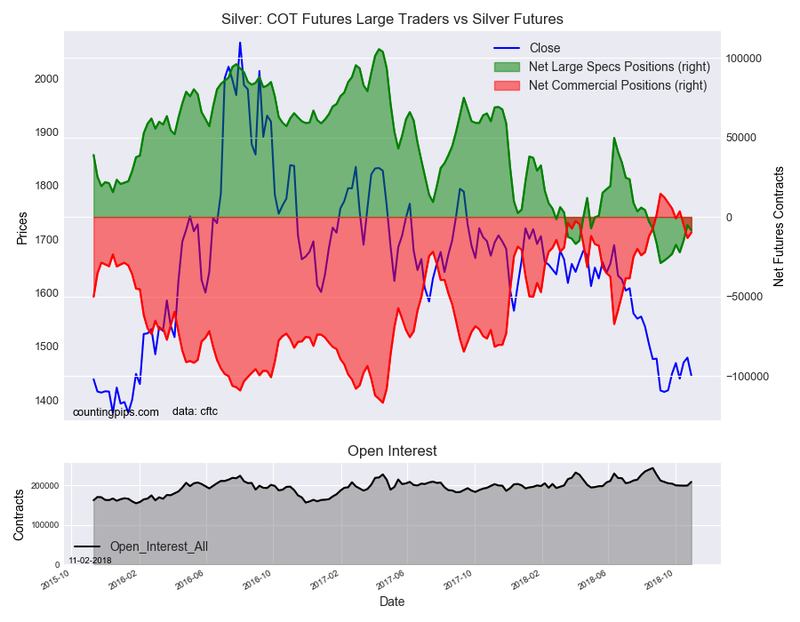 The non-commercial futures contracts of Silver futures, traded by large speculators and hedge funds, totaled a net position of -8,470 contracts in the data reported through Tuesday October 30th. This was a weekly decrease of -3,291 contracts from the previous week which had a total of -5,179 net contracts. The speculative bearish position in silver had seen a decline in the previous two weeks and in six out of the previous seven weeks before this week’s turnaround. The current standing for the silver spec position remains below the -10,000 net contract level for a second week but has now remained in an overall bearish position for twelve consecutive weeks. The commercial traders position, hedgers or traders engaged in buying and selling for business purposes, totaled a net position of -9,760 contracts on the week. This was a weekly increase of 3,502 contracts from the total net of -13,262 contracts reported the previous week. Over the same weekly reporting time-frame, from Tuesday to Tuesday, the Silver Futures (Front Month) closed at approximately $1446.20 which was a loss of $-33.10 from the previous close of $1479.30, according to unofficial market data.